We found that pictures are not just worth a thousand words but also millions of Likes, Comments, and Shares on Facebook. We conducted a study, looking at a sample of pages from the brands we monitor, to see if it still holds true. 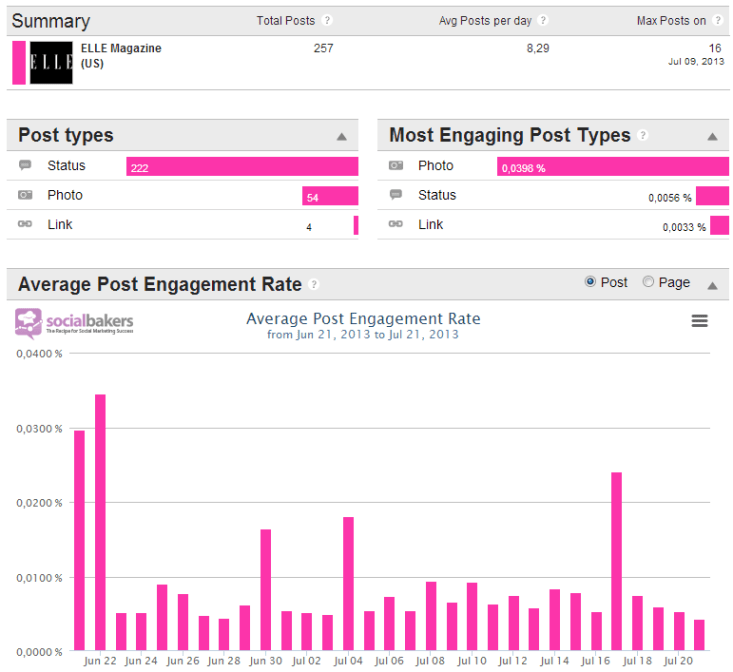 It´s been well established that, photos are one of the most engaging post types on Facebook. We looked at a sample of 5000 brand pages monitored by Socialbakers and found that people prefer to interact with photos more than with any other type of post, such as simple status updates, links, or videos. We’ve seen that many of Facebook´s layout and design changes increasingly support visual content, such as enhancing photos and increasing their size. In March, the social network went as far as calling it the best personalized newspaper in the world as it, besides other things, provides space for strong visual storytelling. In light of this, we decided to update the figures for you. 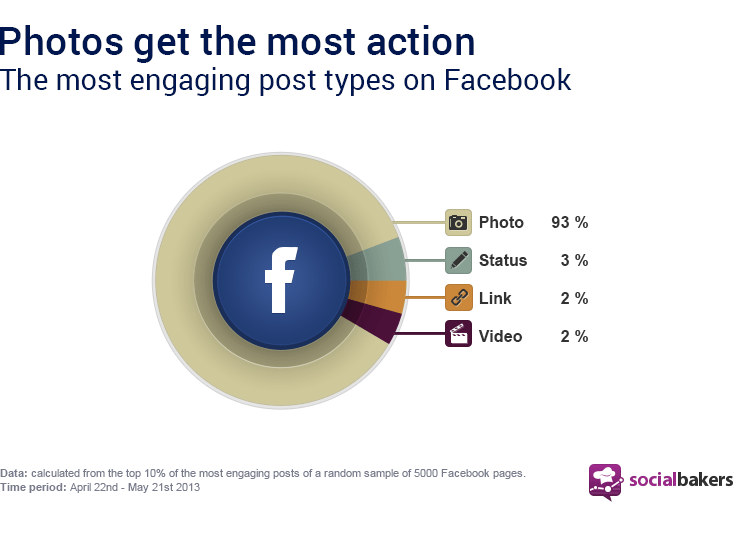 In August 2012, we reported that 85% of the most engaging posts on Facebook were photos. According to our latest results, the number has increased to a whopping 93%! Our data shows that only 2% of the most engaging content on Facebook is generated by links, another 2% by videos, and 3% by status updates. Photos are now more engaging than ever, so strike a pose and get your fans engaged with strong visual content! Social Tip: Read how you can embrace the new layout that Facebook is planning to roll out and see how you can measure how engaging your post types are with Analytics PRO. Take a look at the results for ELLE Magazine in the US! Next PostNext Google+ Social sharing to overtake Facebook by 2016… what do you think?